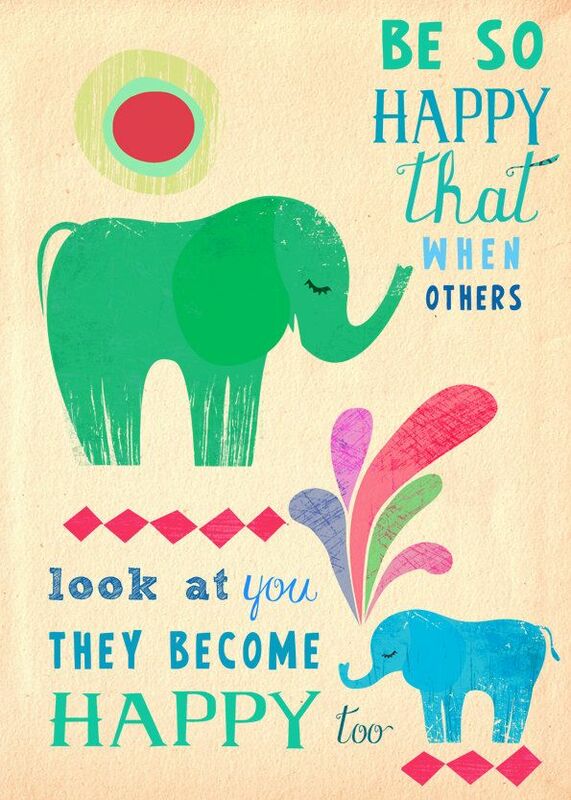 Be happy – they become happy too! – Hi, I'm random. Be happy – they become happy too! I can’t seem to get enough of sharing these happiness-picture-text-image-things! I truly believe this world could be a much better (happier/nicer/more awesome) place if more people followed the path of happiness!! Please, could you (the person reading this) please promise to genuinely try to live a life of happiness and love, rather than the life of judgement and doubt (and all those things)? Please? Happiness is courage! The courage to be happy is in everyone, but sometimes we’re not courageous enough to reach for the happy-courage. However, when we take that step towards happiness we make it possible for everyone else to get there too! Remember, when you help someone else you are sure to get help when you need it. That’s the way things work. Simple as that! Now, dear inhabitants of the Earth, please be happy! Smile! Laugh! Be kind and loving to each other – we’re in a bad enough state as it is. We don’t need any more hatred in this world, please take courage and be happy. Find joy in the small things, and the big things will fall into place. Who said you can’t learn on the Internet?